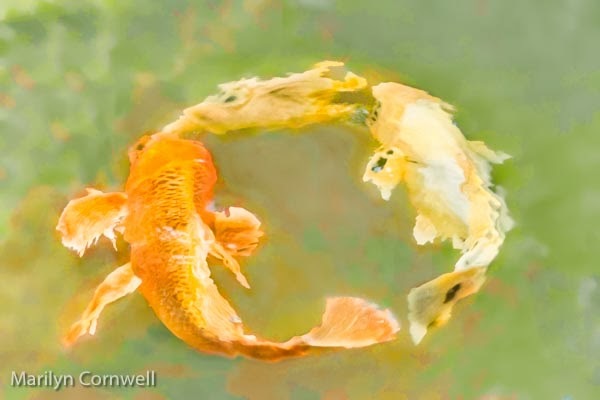 It seems to take hundreds of images to get one good one of Koi. They swim this way and that and get in each other's way. And then, at one moment, a perfect circle is formed. So it seems to always be worth the hundreds and hundreds of shots.